Little remains of St Mary's Abbey but the most striking is this arch that formed the east window. 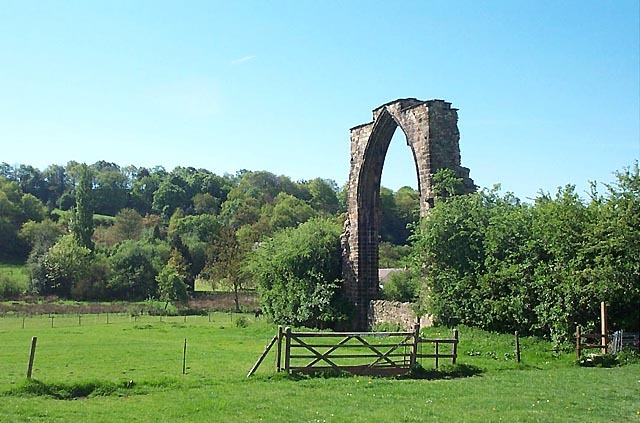 A Priory was founded here by Augustinian Canons from Calke Abbey about 1150 and about 50 years later an Abbey was established by Premonstratensian Canons which flourished until it became a victim of Henry VIII. © Copyright Garth Newton and licensed for reuse under this Creative Commons Licence. This page has been viewed about 647 times.